The Germans, do you know them at all? Lovely literate people, smart and terribly self-deprecating. Berliners, awesomely friendly folks. I just went to Oktoberfest (in September and in Tokyo, I admit) but all those oompah-tunes and gallons of great beer and sausages (a bugger to eat with chopsticks) – what’s not to love? 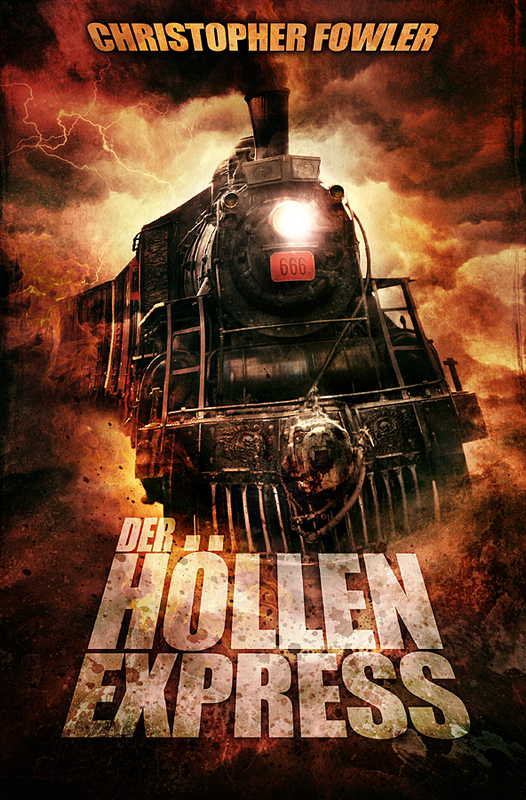 And they have excellent taste in books – they must do because LUZIFER-Verlag is publishing ‘Hell Train’ with a cover that complements Graham Humphreys’ stunning illustration. Interestingly, their edit-process was far more exacting than ours in the UK, where the editor basically looked over the top of his glasses and went, ‘Yeah, that’s alright I s’pose.’ They made some very good points about Europe during the time in which the story was set. So yeah, Germany, jolly decent of you. Now please purchase ‘Nyctophobia’ for your readers, and good luck translating that! I loved this story, just like an old Hammer House film…. Those were the days!!! Why don’t you do more like this? Good on the old Berliners. I loved my visit last year, seeing the over development continue right up to the historical Bandenburg Gate and the remains of the wall. All those pipes that snake across the city taking away the excess water from all the buliding sites…we were told to come back in 2021 for a better view of the city, most of the construction work would be finished then. A marvellous city, Berlin. Not that I’ve been for many a year but right after the wall came down it was a great colourful stew for the arts. Lots of lads keeping their heads down too as having been excused from what amounted to national service in Berlin suddenly no longer were. Keeping up with your blog has been a challenge this year. Just glad I’m not attempting to maintain a full time job. .
Mr Terrell! Welcome back, sir. We’ve just been holding the fort for you here at Fowler Towers. I hope everything went OK.